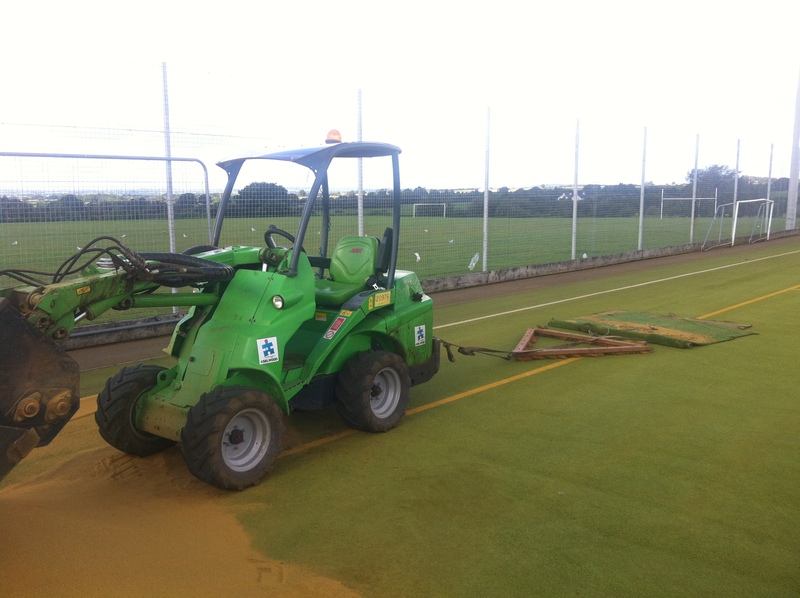 We understand that a building project taking place at your school, college or club can be a very daunting prospect, so we aim to give you as much information as possible about hockey pitch construction to put your mind at ease. 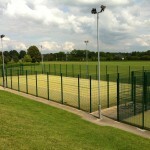 This work can be completed for a number of specifications, and 2G turf is the most popular surface type we install. The synthetic grass is designed for stability and it also offers good ball roll qualities. If you’d like to find out more about the installation work for a hockey facility, please contact us today through the enquiry form. One of our expert would be happy to talk you through everything we offer and also supply you with a quote. The first step is preparing the ground works; this includes laying out the foundations for the hockey pitch construction process. The surface needs to be constructed onto a sub base, the most common being an engineered sub base or a dynamic sub base. 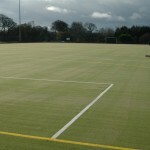 The sub base is designed to keep the surface flat and even for the hockey pitch installation to take place on top of it. Both types of sub base are completely porous so water drains through it, allowing for usage all year round and in all weather conditions. You can opt to have a shock pad installed into the pitch to allow for shock absorbing properties for the facility as a whole. This means that if any players fall over there is a reduced chance of any shock or impact injuries. 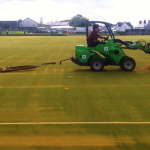 After the foundations are complete the next stage is to install your desired carpet onto the sports pitch, we do this by laying out each individual carpet and then glue them together to create your desired sports surface. 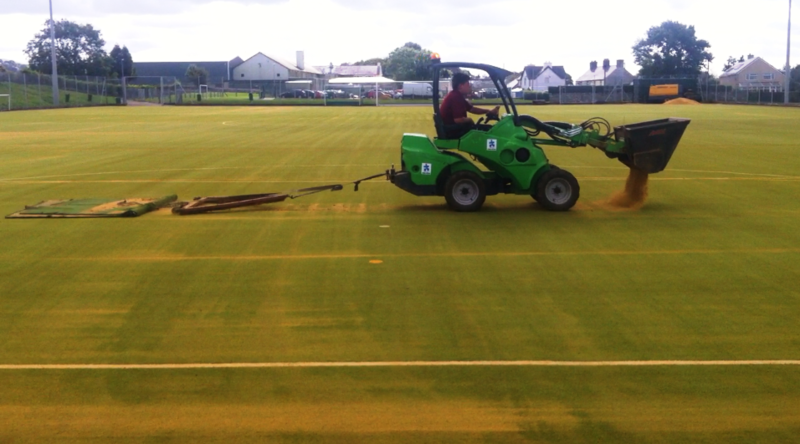 The most appropriate surface type for hockey pitches is 2G sand dressed synthetic turf, however other surfaces such as sand filled turf and needlepunch artificial grass can also be installed if the facility is going to be used for other sports such as football as well as hockey. 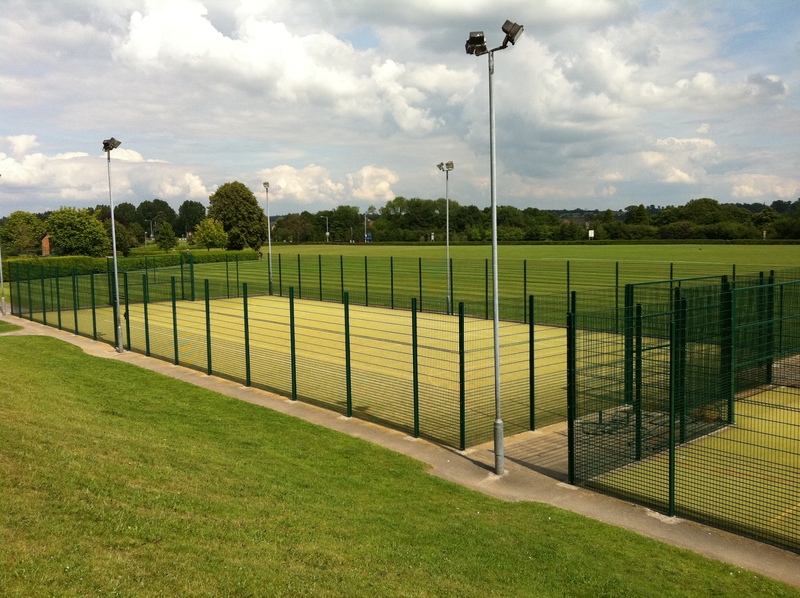 The final stage is the installation of all the extra equipment and features you desire such as fencing, floodlights and professional sports line markings. 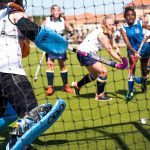 The biggest factor which affects the price of hockey pitch construction is the size and dimensions of your desired sports pitch, if you want a full sized field, this will of course cost a lot more than a smaller sized facility. Another factor to take into account if you have to stick within a tight budget is the extras you want to include with your final pitch, compromising on the specifications of fencing and floodlights you choose to install can help keep overall costs down. 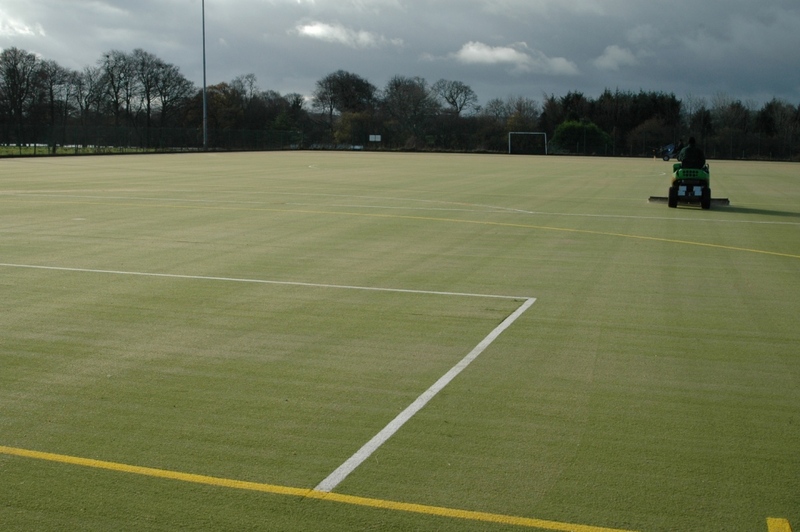 Hockey surfacing installation costs will also depend on the location of the job, access to site and the length of time it takes to carry out the project as our contractors need to have travel and accommodation provided. To reduce the overall costs of having the surface installed, putting a regular maintenance plan into place can ensure that you make the most out of your surface, and that it is completely safe for anyone using it. With regular maintenance the maximum durability and longevity of the surface can be achieved and you will have a hockey facility which can be enjoyed for as long as possible. 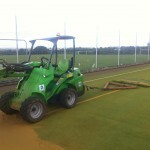 We would be happy to advise you on all of the services we offer when it comes to hockey pitch construction. 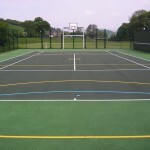 This is a popular facility which many schools and leisure centres have, and they can also be used for other sports depending on the type of surface you choose. Feel free to get in touch if you’d like to ask a question or request a price. Let us know if you’re looking for any particular specifications or if you have a strict budget and we’ll do our best to work around this. Prices will typically vary based on the work that needs to be done along with the area size and location.